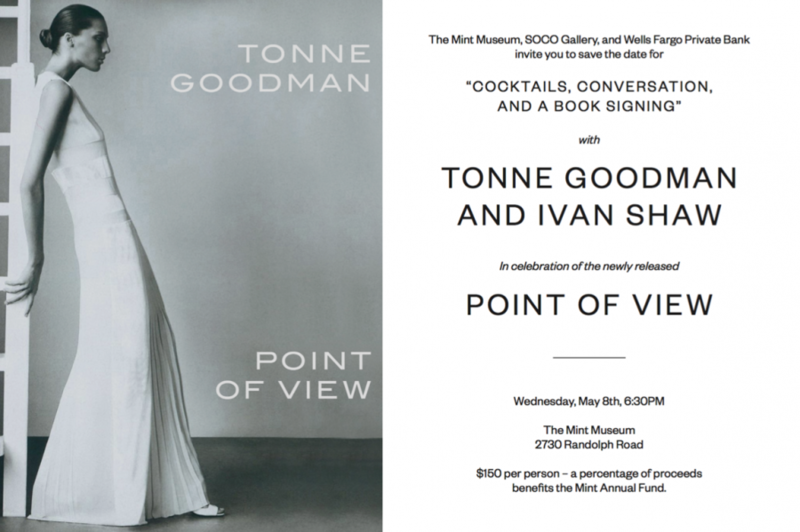 The Mint Museum, SOCO Gallery, and Wells Fargo Private Bank invite you to save the date for Cocktails, Conversation, and a Book Signing with Tonne Goodman and Ivan Shaw. This will be a celebration of the newly published Point of View. Please note: The $150 per person ticket price includes a signed copy of the beautiful Point of View book. A percentage of the proceeds will support the Mint Annual Fund. Sponsored by Wells Fargo Private Bank.